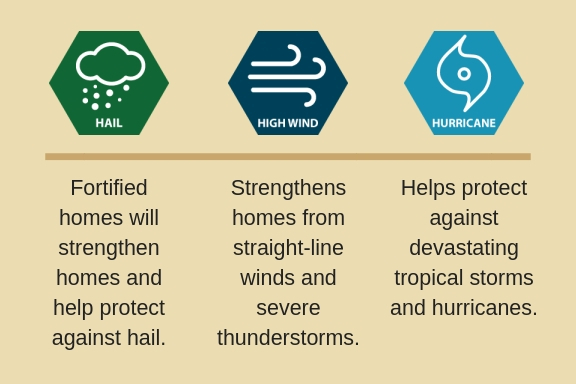 The Fortified Home Program was developed to strengthen homes during natural disasters and elements such as hurricanes, hail, high winds, and severe thunderstorms. Fortified homes are built to higher standards to ultimately protect your biggest investment. While we normally see builders who offer this program for new construction you can also seek a contractor who builds to these higher standards for remodel projects as well, for instance installing a new roof over an existing home. What Risks Are You Up Against? Of course different parts of the country see severe risks more than others, however; most everyone would benefit from Fortified construction. This designation has to do with the roof system, reducing the amount of rain and wind from entering the attic. Addresses doors, windows, and attached structures in addition to the roof system. Along with what’s covered with Bronze and Silver, Gold ties the roof to the walls, and the wall to the foundation. The chances of you being able to return to your home after a disaster are greater with Fortified construction. The cost to recover the overall community is lower. 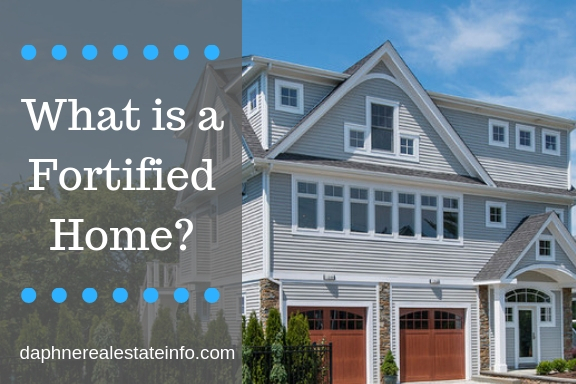 The marketability and re-sale of your home is stronger. Peace of mind during a storm. 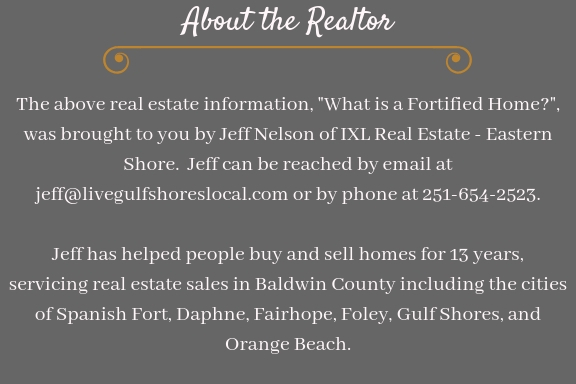 If you are thinking about building a home in lower Alabama, please contact me for a list of contractors who construct homes to Fortified Standards.